It’s also incredibly easy to make baked salmon in the oven, which is my favorite way to prepare it. So since I’ve already shared two recipes here on the blog for how to bake salmon wrapped in foil (for honey mustard and garlic lovers), I thought that today we could go back to the basics and talk about how to make classic baked salmon filets on their own. 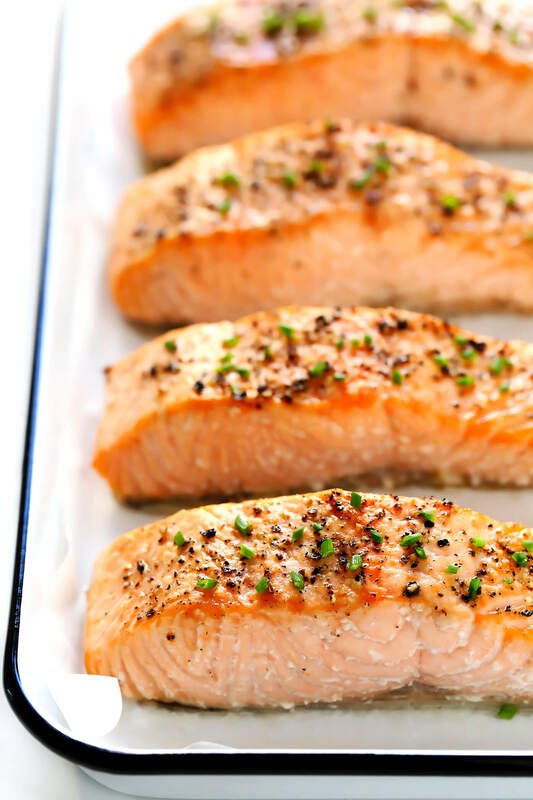 With a few simple tips, your salmon can be perfectly crispy on the outside, moist and tender and flaky on the inside. Then the decision will be up to you whether to serve it plain or add on extra sauces or seasonings.